I’m curious to see how much monthly data others use for home internet and mobile devices? I don't think we've ever used more than 10 gigs... but we have a life beyond our smartphones. Instead of playing a race car, golf or fishing game online we actually go out and do the real deal. Instead of streaming a movie or concert we actually experience the real thing. 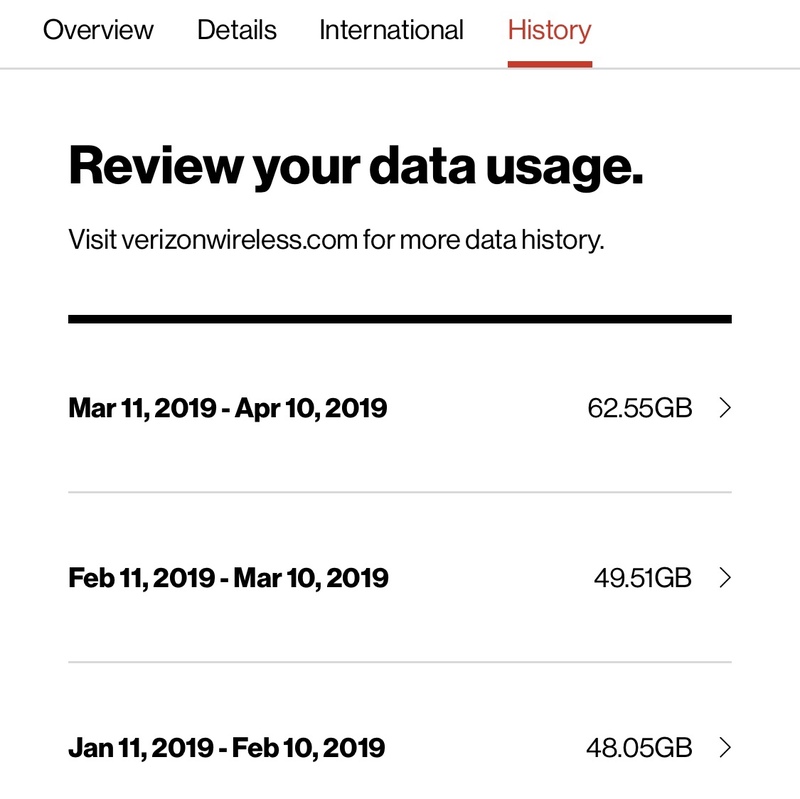 I’ve got 8 devices on my Verizon plan. Some other family, my wife, myself and 3 children. That said, I use most of the data. I use my phone for work quite a bit and to tether my laptop as well. I manage digital marketing for several online brands, so that’s my world all day. Netflix and other streaming video services is all we use at home and I’ve got 4 kids, plus homework, gaming, etc. I’ve got a cable box from Xfinity for live sports over the air when I can’t get the stream, but mostly I’m streaming. All this said, these numbers go down drastically in the summer when we can get outdoors. When I go camping I tether a ball game if it’s on in the evening or we stream movies. Having unlimited data is awesome. Yeah... we're talking about dumping our TV's, at least for the summer, and see how it goes. Life's to short to spend it sitting on the couch, watching the idiot box and eating Cheetos. Interesting Data on Poverty in America.